It has finally arrived, and football will be with us until February 5th. There is no better season, than football season. I never take much stock in the preseason, but it is worth noting the Packers finished with a 1-3 record. I have a lot of questions going into the season and Week 1, so let’s dive in and hopefully get some answers. Everyone should know this number. 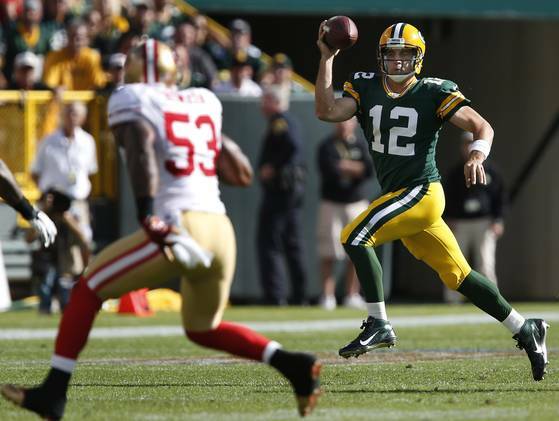 The Packers defense allowed 579 yards against them in the playoff loss to the 49ers. 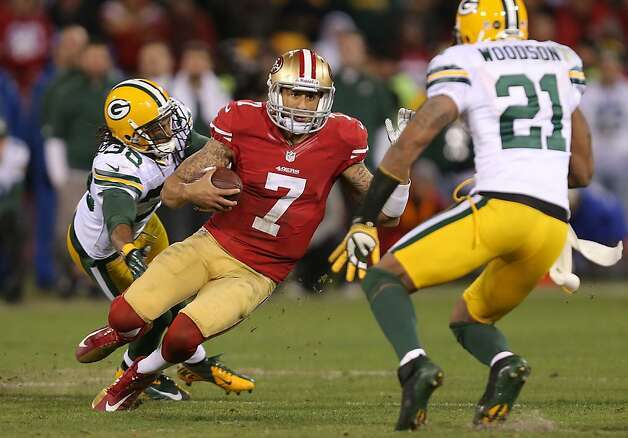 Colin Kaepernick personally ran for 181 yards, a rushing record for a quarterback in the playoffs. So, what has changed for the Packers on defense? I really think 1st round draft pick, Datone Jones, will be a difference maker for the Packers early and often. He has the ability to break through and disrupt the read option in the backfield. Nick Perry is back after being on the IR for half the season last year. He is a definite improvement over Erik Walden (signed with Colts). I will be intrigued to see if his pass coverage has improved with another year under his belt. Let’s not forget, the Packers coaching staff studied the read option all off season and took a trip to Texas A&M to help learn more about it. I truly hope they are more prepared for it this time around. As long as the Packers can stay healthy on the defensive side of the ball, I really feel they will be stronger than most people are giving them credit for. Let’s face it, the offensive line is going to be a question mark all year. Their blocking in the preseason, left a lot to be desired. With a rookie at left tackle and a second year pro at right tackle, it will be imperative that Rodgers gets rid of the ball quickly. Especially in the first half, the ball should be gone within 3 seconds and the Packers need to be able to run the ball with some effectiveness. The 49ers defense is still one of the best in the league and their front seven is their strong suit. In order for the Packers to pull off a win, the ground game needs to be a priority. If they can establish the run, strong play action plays follow and the front four cannot assume Rodgers is throwing every down. The biggest key to victory today is through the ground. Is Aaron Rodgers still the MVP? Okay, before everyone calls me unspeakable names, take a little time and think about last year. We are all very used to Aaron Rodgers being perfect. Last year, he was VERY good, but there were several occasions where he missed on throws that should have been made. Really think about it and you will start to remember some of those times. We have been so spoiled by quarterbacks over the past 20 years, but if this team is going to make another run at the Super Bowl, Aaron Rodgers cannot be very good, he has to be the MVP. Everyone knows he has it in him, but I think he needs that chip on his shoulder mentality again this year. Today’s game is going to be a dog fight. The 49ers are great team with a great head coach. We will finally have some answers we have been waiting for all season. My final prediction for today’s game: 49ers – 38 Packers – 31. It should be quite a game, but I don’t think the offensive line will hold up, I don’t think we have enough on defense to stop their offense consistently, and I think Colin Kaepernick will rush for over 100 yards today. All that being said, it will still be a good year to be a Packers fan!